Bacteria based applications has been in use for different innovations, from medical applications to practical uses in acoustic electronics. Researchers at San Francisco State University used the same principle of adding a certain specie of bacteria into a system. It turns out that adding bacteria into murky waters make way for a controlled laser beam to travel further before diffusing into the surrounding area.The typical understanding is that the presence of other minerals and loose particles in a liquid setup causes light to diffuse in different directions. Zhigang Chen of San Francisco State University along with colleagues shown a concentrated laser beam through seawater added with bacteria called Synechococcus and was astonished that the laser beam travelled further before diffusing.The force caused by the waves of light pulls the bacteria inward the center of the beam and while in the center, another force directs the alignment of the bacteria into the general direction of the beam of light. The concentrated light causes the cells to form a fibre like structure around the beam in which it acts as a waveguide guiding the beam further by a few centimetres in the water. Although the beam is concentrated and high powered, most of the cyanobacteria were able to survive.The discovery makes way for medical applications with mention to laser based medical procedures. The team suggests that introducing this principle in red blood cells will allow for non-intrusive imaging using the aforementioned waveguides. 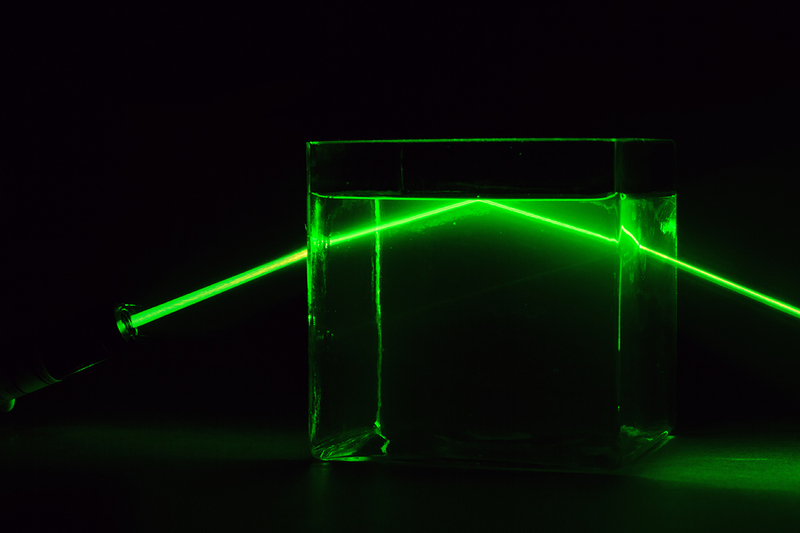 “A drawback is that the effect only occurs at very high laser power,” says Christof Gebhardt, a biophysicist at Ulm University in Germany. These high power lasers can however ravage mammalian cells.Want to know more about this awesome device? Follow this link!